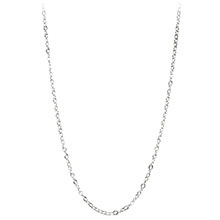 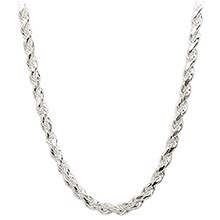 BGASC offers an assortment of elegant gold and silver necklace chains in a variety of lengths. 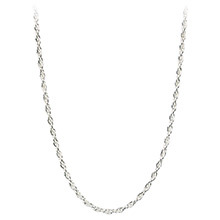 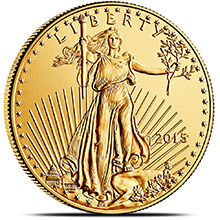 These necklace chains may be paired with any of our coin bezel pendants to create the perfect coin necklace to wear and feature your favorite coin. 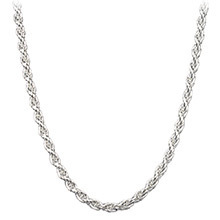 Sterling Silver Rope Chain Necklace 1.07mm - 16", 18", 20", 24"
Sterling Silver Cable Chain Necklace 1.3mm - 16", 18", 20", 24"
Sterling Silver Rope Chain Necklace 1.8mm - 16", 18", 20", 24"
Sterling Silver Rope Chain Necklace 2.5mm - 16", 18", 20", 24"
Gold Filled Rope Chain Necklace 1.85mm - 16", 18", 20", 24"
Sterling Silver Rope Chain Necklace 3mm - 16", 18", 20", 24", 30"
14k Yellow Gold Rope Chain Necklace 0.89mm - 16", 18", 20", 24"
14k Yellow Gold Cable Chain Necklace 1.5mm - 16", 18", 20", 24"
14k Yellow Gold Rope Chain Necklace 1.63mm - 16", 18", 20", 24"
Gold Filled Rope Chain Necklace 2.5mm - 16"